A recent addition to our photography collection, this book compiled by Pierre Borhan contains images of the sea and those who go seafaring from the earliest days of photography right up to the present. 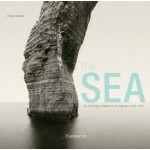 From starkly beautiful images to the truly terrifying, this book demonstrates the massive attraction the sea has always had on visual artists, and how uniquely able the camera is to capture it in all of its moods. 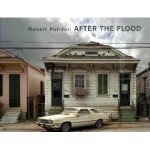 Photographer Robert Polidori allows his photographs of devastated New Orleans to do the talking in this massive and incredibly moving record of the aftermath of Hurricane Katrina. Street by street his camera documents the tragedy in colour photographs of astonishing clarity, making words superfluous. 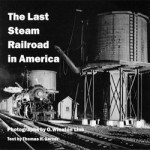 Back on dry land, trains have long provided photographers and artists with iconic imagery, and the railroad photography of O.Winson Link has to be seen to be believed. You certainly don’t have to be a train enthusiast to recognise the extraordinary power and beauty of Link’s incredible photographs which document the end of the steam era in America. 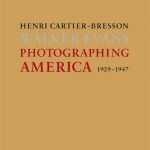 Two of the finest photographers of the everyday turn their cameras on America during the first half of the 20th century, and we still look on in wonder in the 21st. The best camera is the one that’s with you : iPhone photography by Chase Jarvis. From the sublime to the….sublime? Photography has always been tied to technology, but I wonder what Walker Evans and Winston Link would make of these phenomenol changes?